I have already kicked off my holiday season, we've been going strong ever since Thanksgiving- which let's get real here, is only a Christmas warm up. We hosted a Christmas get-together for my husbands family, I have been to my annual Girl's Christmas Dinner with my best friends from college and even went to Christmas themed bunco this week. So I have been festive all month. One of my favorite things to do for the holidays is to bake, and last year I hatched a plan to gift holiday treats. I thought to myself what can I do to elevate my cookies and treat to fancy gift status? The answer was of course cute packaging, which is right up my alley. So this year, I improved on last years gifting. 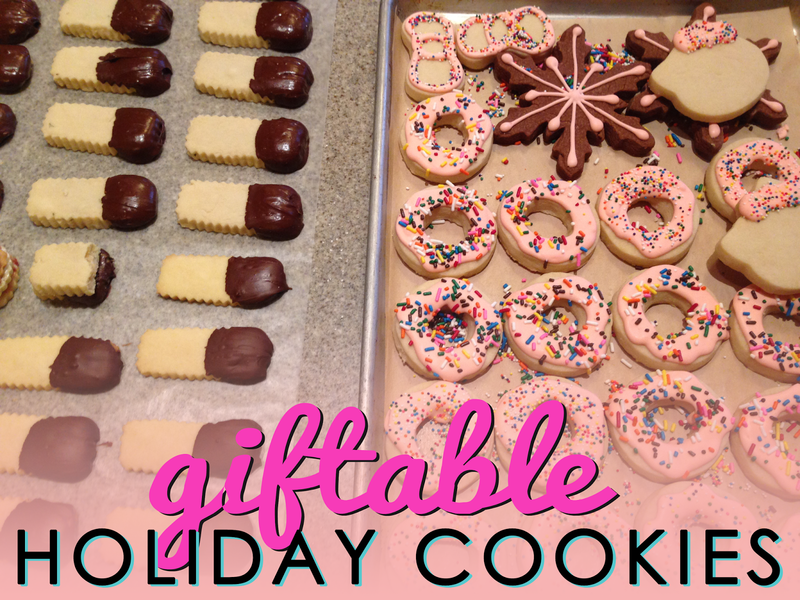 So while this post is about holiday cookies, it is less about the recipes and more about the packaging and my tips and tricks to make cookie baking a little easier. I made sugar cookies via The Decorated Cookie's recipe, decorated them with Sweet Sugar Belle's royal icing recipe, I also made a ton of shortbread using Vanilla Bean Baker's recipe, even adapted one batch to make Rosemary Shortbread (Yum! ), i dipped the shortbread in chocolate, and even rolled some out thin and made some cookies I had seen Martha Stewart make on TV (Martha called them Linzer Tortes- no recipe for these, I literally just saw her make them and just imitated what I saw, I didn't even google them). Tip #1: I always write my recipes out on paper, this helps me remember them, and then they are easily transported to any part of the kitchen I am working in. Also, I often cook recipes from my iPad, but the screen blacks out after so long, and when making cookies, I just choose not do deal with that. I even save these recipes for reference next year, so I write down my source. Tip #2: get everything out before you start. you can see I have my cookie cutters out first thing here. I like to get everything I am going to need ready at the start while i still have clean hands and a quiet mind. I think things through in the order I am going to use them, ingredients out, mixer clean and ready, spatulas handy, flour open, rolling pin and cookie cutters available for when you need them, cookie sheets lined with parchment paper, cooling racks set up, and oven preheating. Tip #3: if you are going to be baking multiple days, get a bowl to keep your dirtied utensils in, so you don't have to wash them repeatedly. Now, to be clear, if your utensil touches raw eggs, it should be washed in between uses. but if it just coming in contact with butter, flour and sugar, feel free to reuse. The bowl you see is my dry ingredient mixing bowl (for flour, salt and soda), the whisk is what I use for that, and the cookie cutters and measuring spoons are self explanatory. 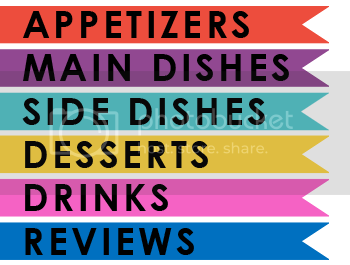 Tip #4: Voraciously read everything you can about the cookies you want to bake and the techniques you want to use to decorate. Read multiple tutorials about them from multiple sources, people will describe things in different ways, and some will make more sense to you than others. Then try to find a YouTube video and get a visual. This is like studying for test, you have got to do the research! You can find recipes and instructions for that everywhere on the web, the recipes I linked above have great resources- I learned everything I know about cookies from the internet, no grandmother's recipes have been handed down to me, and I am not a pro, this is only my second year at trying to be good at this! Tip #5: Wait a day between baking and decorating, and another day between decorating and packaging. This means that to give cookies on Saturday, I baked on Wednesday, decorated on Thursday, and finally packaged on Friday. Or earlier. The last thing you want to do is go through all the work to make beautiful cookies, and then have them get smooshed putting them into bags. It also means, your pretty much going to have a mess in your kitchen all week long. Get used to that! After your cookies are baked and decorated, it time for the packaging. I get creative here. I keep somehting like 10 different sizes of clear bags at all times because I am crazy, and a crafter, and clear bags are great for packaging so many things. I love to use them for cookies, but I don't like to package everything the same. So I gathered little ice cream cups for round cookies, decorative parchment paper, and cupcake and mini loaf liners. I also keep an assortment of different string, yarn and twine, and also washi tape. The last step is the labels. 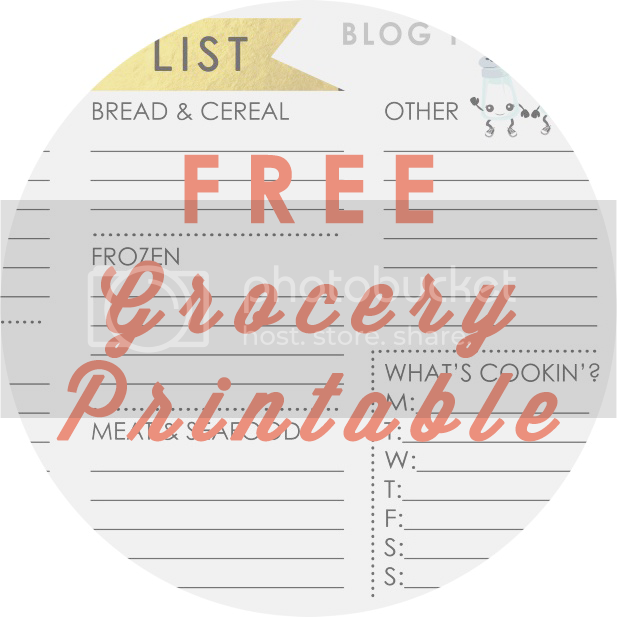 You can cut pretty paper and hand write labels, you can design labels of your own (like I did), or you can find all sorts of holiday printables on Pinterest. I love how this packaging mixes and matched patterns, it makes me happy, and I hope it makes my recipients happy too! These guys got a boost of color in the yarn I used, don't you just love it? Mini-Donut cookies are colorful on their own, so they went into clear bags, and got tied together with a solid color. I know this is weird, but I'm going to say it anyway because we live in real life. Some people just aren't that into cookies. I am one of those people. I am much more interested in how cute they are than how they taste. Now, I do my due diligence and taste test everything, and get my husband and grandpa to be honest with me. But I always keep in the back of my mind that some people are just not into it. So, I always want my holiday treats to be packaged well enough that if someone doesn't like them, they can regift them to someone that does. Now that everything is all wrapped up, you can create gift bags, baskets or as I am going to do, boxes. And to show you how crazy I am about packaging, here's a shot of some of the other things I created and packaged this year- Soap and chapstick! You can see I used a mixture of printed and handwritten labels.